Get on the brown rice diet so you can fit into that terelene shirt - because, for one night only, Suede are reforming. 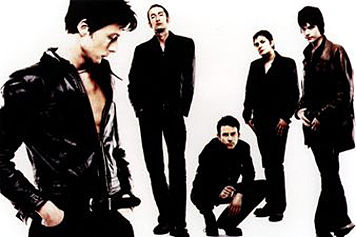 The Coming Up era line-up of the band - Brett Anderson, Richard Oakes, Matt Osman, Simon Gilbert and Neil 'Yum' Codling - will play a one-off concert at the Royal Albert Hall in aid of the Teenage Cancer Trust later this year. Bernard Butler will not be involved. Suede have long been supporters of cancer research - both Anderson and Butler lost parents to the disease, and the band donated their 1993 Mercury Prize winnings to a cancer charity. Despite posterity treating them rather unkindly, Brett Anderson has never ruled out a return of Suede. In a recent Quietus interview around his well-received third solo album Slow Attack, Anderson had declined to comment on the possibility of a Suede reformation, saying "I don’t really want to answer that. I can only say that I’m thinking about releasing this record, and I’m excited about this. Those sort of things . . . I don’t even think about them."